While I was having a great time with friends in Atlanta, a special someone showed up at my home. I knew he was on his way to visit me, but I didn’t realize he’d get there before I did. It’s not wise to keep a God waiting. Not at all. 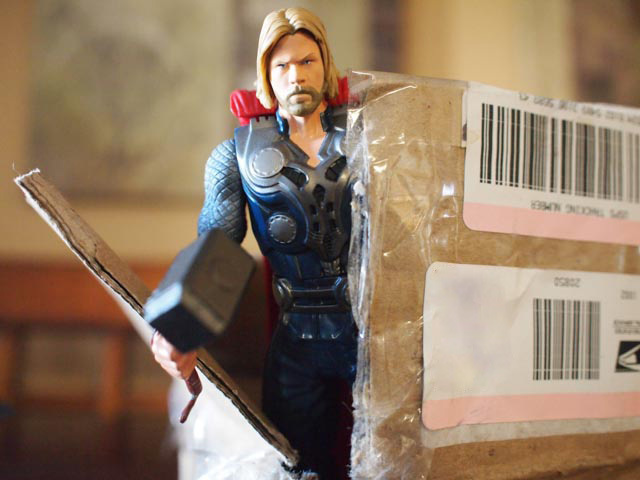 Thor, the God of Thunder, wielder of the all mighty Mjölnir, was not pleased by his lack of reception upon arriving and to make things worse, he was accidentally locked in a storage room when the concierge mistook his traveling carriage for an ordinary package. Needless to say, he was not pleased. Not at all. Of course, being the all powerful God that he is, he managed to free himself from confinement, though he destroyed his carriage in the process. No matter, he had bigger fish to fry. Me. Since I’ve been home, I’ve been groveling at his feet, trying to make it up to him. I introduced him to Jasper, which at first seemed to annoy him, but once they got to know each other gave him a cozy place to lay his head. 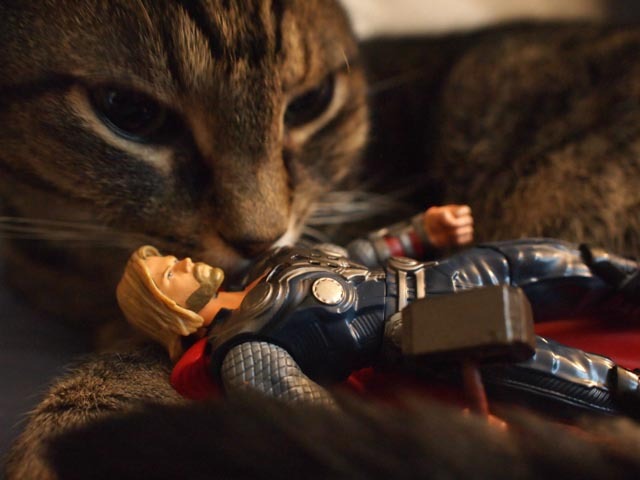 Jasper took to him immediately. 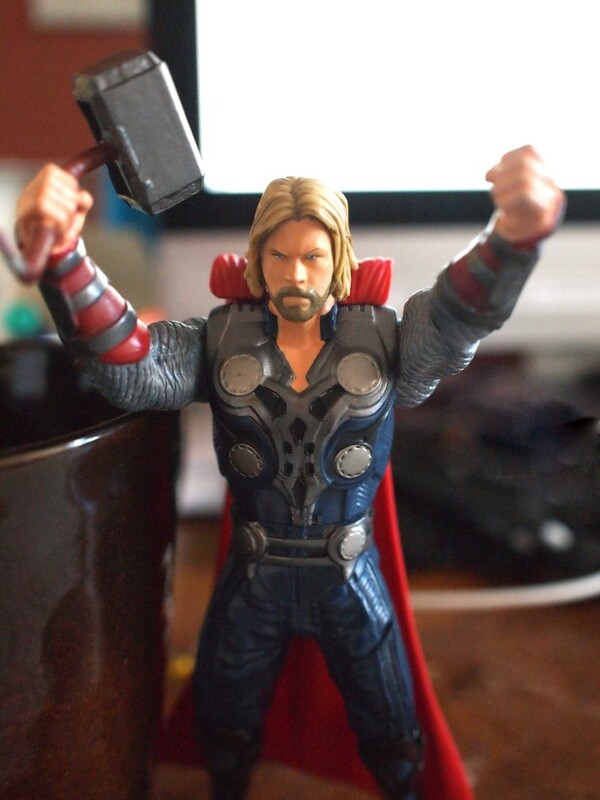 This week I plan to show Thor a rocking good time to make up for the lack of proper respect when he arrived. I wonder what he’ll think of the Washington Monument? Guess I’ll have to take him there and find out!